Whomp whomp. There're no Admiral William Rikers for sale. 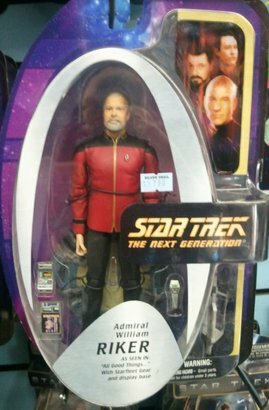 Admiral William Riker, as seen in: Star Trek: The Next Generation, with Starfleet Gear and display base. From the episode, "All Good Things..."